The PSG striker was injured on Saturday and, according to medical tests, suffers a torn muscle in the right thigh. Meunier, come down for the trip too. The most immediate future is complicated at Paris Saint Germain. 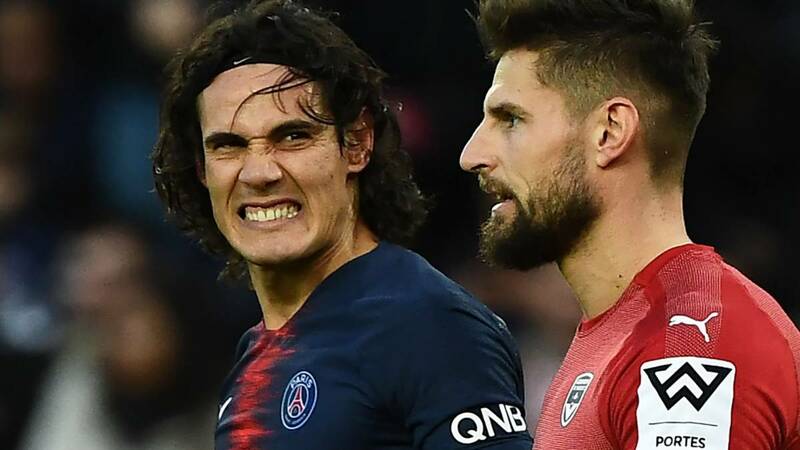 Cavani was injured on Saturday against Girondins and, after being subjected to medical examinations, the diagnosis indicates that sufre a muscle break in the right thigh that will be low about four weeks. That is, the forward, 31 , will be absent in the knockout stages of the Champions League against Manchester United : safe low on Tuesday in England and practically also for the return, on March 6 in Paris. The destination presents a dark picture to the current champion of France : first was Neymar and now his top gunner, two offensive cards and main figures to make a difference in the Champions League. They will not be in the game due to injury and weakens the potential of PSG. Thus, Tuchel will have to improvise a new plan, especially thinking about the double European duel. Without two of his attack tricks, Draxler and Di Maria are running as Mbappé's companions. The PSG misfortune does not stop there: Thomas Meunier will be low in the first leg against Manchester United after having suffered a slight concussion. After a collision with Kamano, of Bordeaux, the Belgian requested the change and was replaced by Dagba. The medical part of the club states that needs a week of rest.